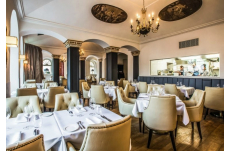 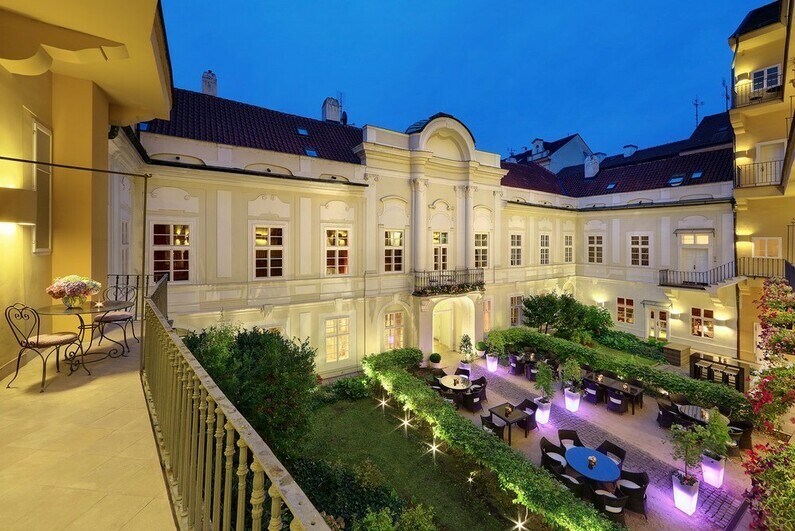 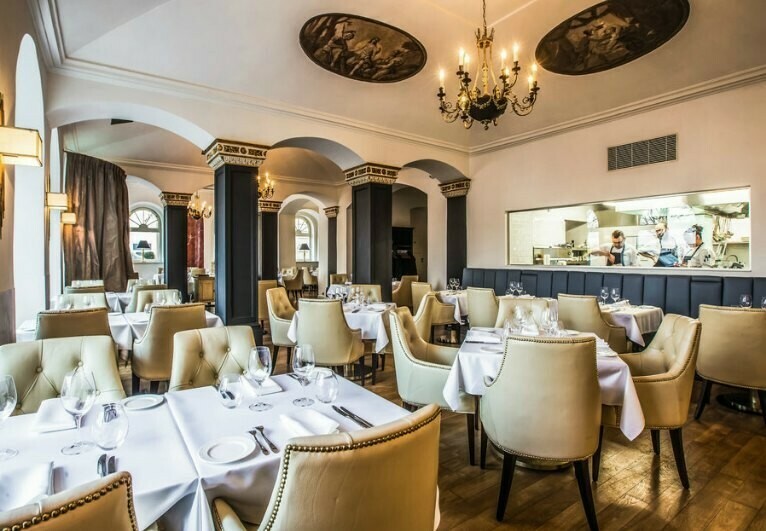 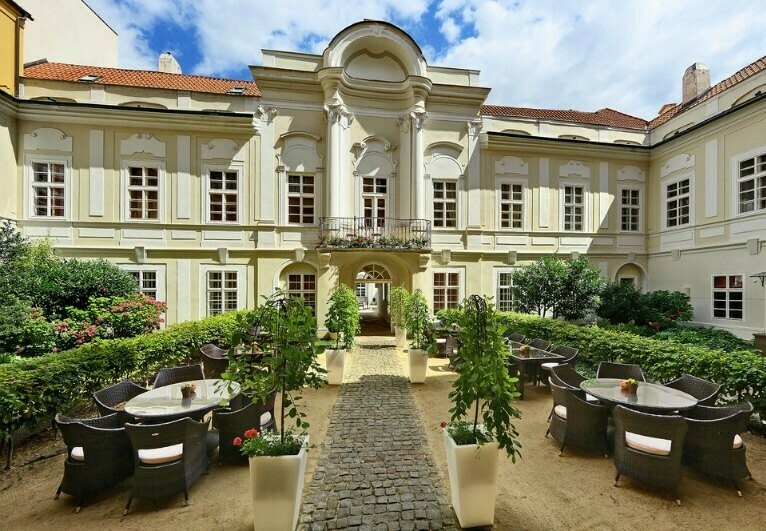 Located just a few steps from the Charles Bridge in a tastefully renovated baroque palace, this restaurant offers elegant, clean design and unique Czech cuisine with a touch of Mediterranean. 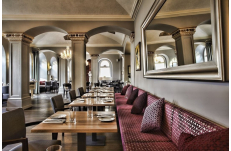 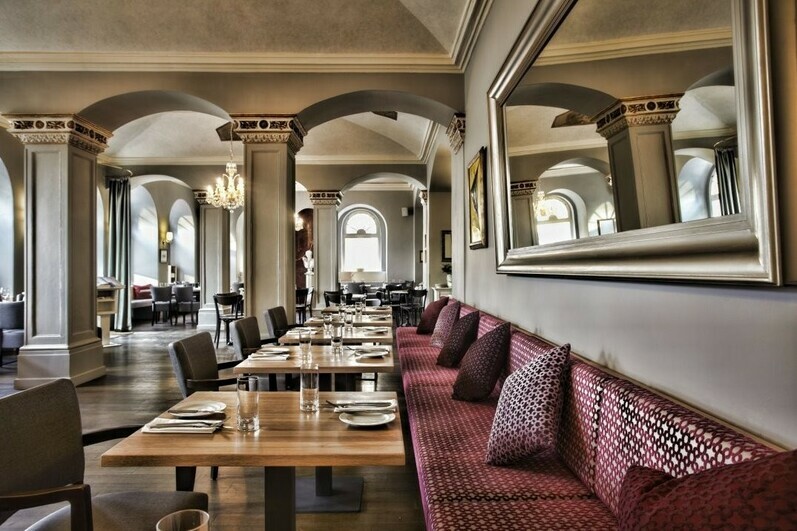 An event room for up to 40 people is possible or the the whole restaurant can be hired. 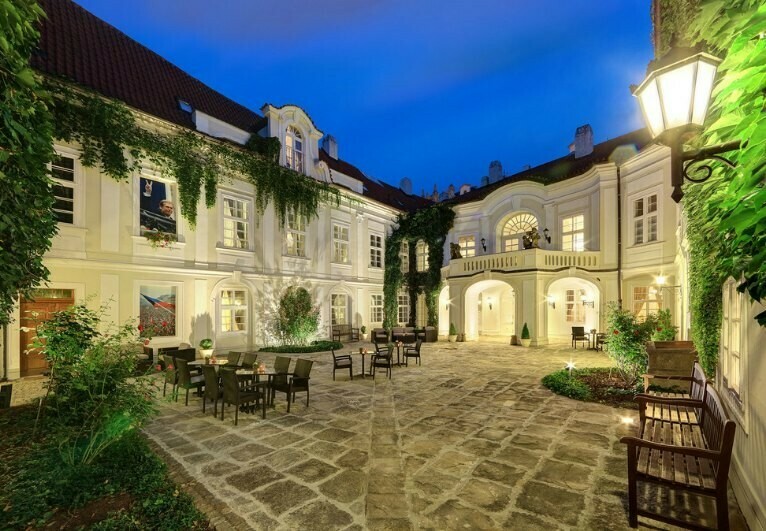 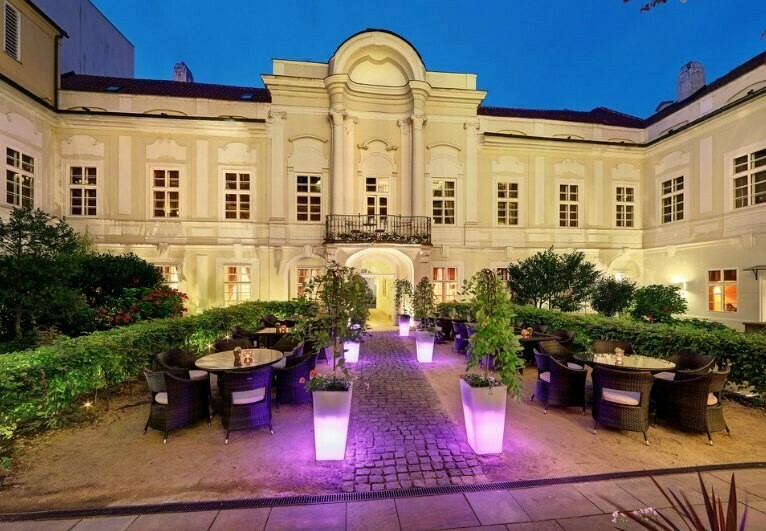 A stylish cocktail reception or even a wedding ceremony can be prepared in the courtyard of this Baroque palace that is 5* hotel. 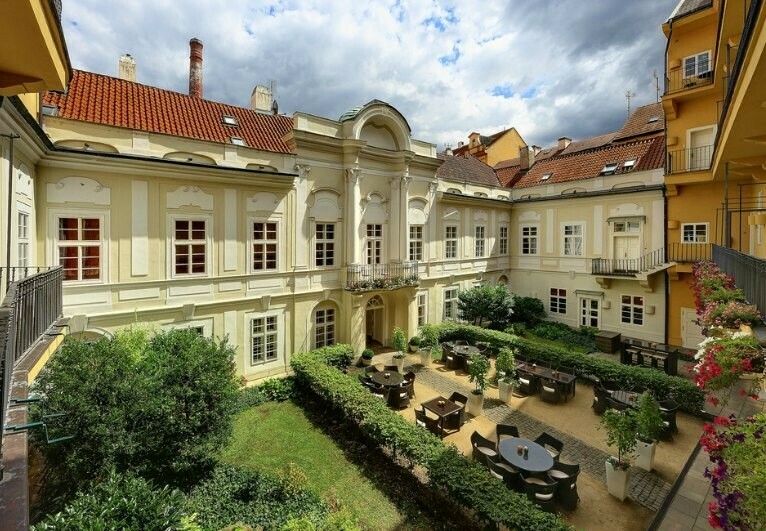 We love the views from this place of the Vltava River!